Manufacturers must continually and creatively cope with two variables: time and cost. Whether it is the time needed to make a decision, time to manufacture a good, or time to market; whether it is the cost of processing, supplies, or personnel, you must monitor and use this information to keep pace with demand and respond to the need for sudden changes in production. An executive dashboard - enables you to slice and dice data; drill down, up, and across the data by company, work center type, work center group, capacity reservation type, and other entities to the finest detail. A production efficiency model - lets you run what-if scenarios for each work center, enabling you to find cost savings and mitigate potential risks. A production quality model - provides a clear overview of the actual and scheduled volume produced by company, site, warehouse, and work center for a specific period of time. Our Manufacturing Analytics solution allows your analysts and planners to use their data to analyze volume by operation and determine operational slippages and the reasons behind them. 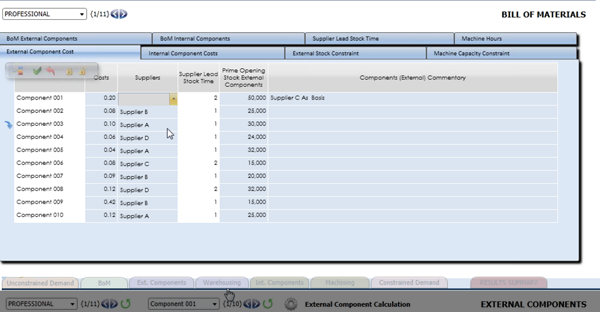 The solution includes a Bill of Materials (BOM) component to support the custom Material Requirements Planning (MRP) process, a great tool for mid-market manufacturers that need MRP capabilities to augment their ERP/MRP systems.